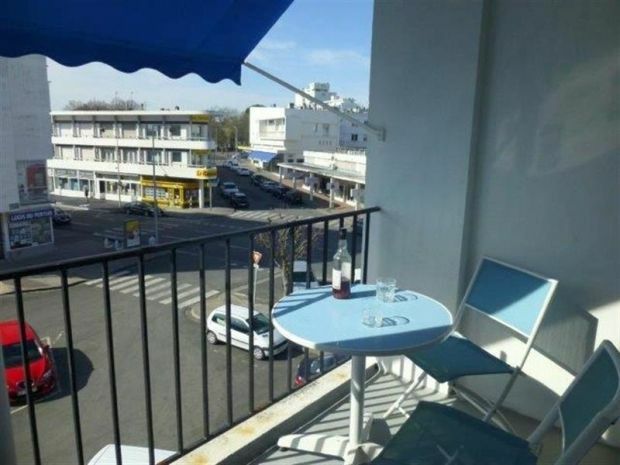 Large apartment of 75m² situated in the centre of Royan. On the 2nd floor (no lift) just 50m from the main beach and the harbour with its shops and restaurants. With: Entrance hall. Living room opening onto the balcony with sun blind (flat screen TV and DVD, sofa bed of 140). Kitchen (fridge-freezer, oven, 4 ring gas hob, microwave, dishwasher), Laundry room with washing machine and waste disposal. Bedroom 1: double bed of 140 + fold up cot). Bedroom 2: Double bed of 140. Shower room and WC. SLEEPS 5 - SOUTH FACING BALCONY - BIKE STORE.